3 বই That Have Entranced Me: Which do আপনি prefer/looks most interesting? Have আপনি ever read a book that was so bad it was actually kind of fun to read? Two বই on eating disorders; which do আপনি prefer? Petty high/middle school drama series; which do আপনি prefer? Post your পছন্দ book set in a country that আপনি want to visit? Post your পছন্দ book set in your প্রথমপাতা country. a comment was made to the poll: What's আরো annoying? a comment was made to the poll: 3 বই That Have Entranced Me: Which do আপনি prefer/looks most interesting? 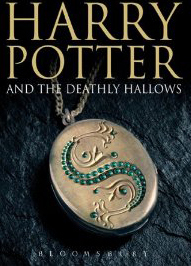 Who is the লেখক of "Harry Potter and the Deathly Hallows"?